In 1969, Mel Heimer dedicated 262 pages to dissecting Tunney’s second win over the beloved former champion, drawing from a variety of sources and leaving out few details in describing a peculiar year in the life of American heavyweight boxing. Further, Heimer explains through the chronicling of concurrent global events that the intense interest in Tunney vs Dempsey II was not only a product of its time, but something that largely helped define the time. Looking back, it was as if Tunney came along a few years early; the 20s wouldn’t slam to a close until “Black Tuesday,” the terrible Wall Street Crash of 1929. That calamity was the result of numerous economic issues feeding off one another, but behind the failures involved was the excess of the 1920’s. “The United States of America was a houseparty, a whoop-de-do weekend in Bronxville or Carmel or Grosse Pointe, and all were invited,” writes Heimer. In that sense Tunney signaled an early end to the party that heavyweight champion Dempsey had been the default host of. The world of sports rocked and rolled along with the decade, making stars of golfers Glenna Collett and Bobby Jones, football players Knute Rockne and Red Grange, swimmer Johnny Weissmuller, tennis players Bill Tilden and Helen Wills, and legendary baseball player Babe Ruth, who, incidentally, picked Dempsey to regain the championship. All hoped Jack, their cultural ring leader, could regain the heavyweight title. Social symbolism aside, Heimer says Tunney’s veritable obsession with defeating Dempsey first rose to the surface during a chance meeting between the two on a ferry that was crossing the Hudson River in 1920. 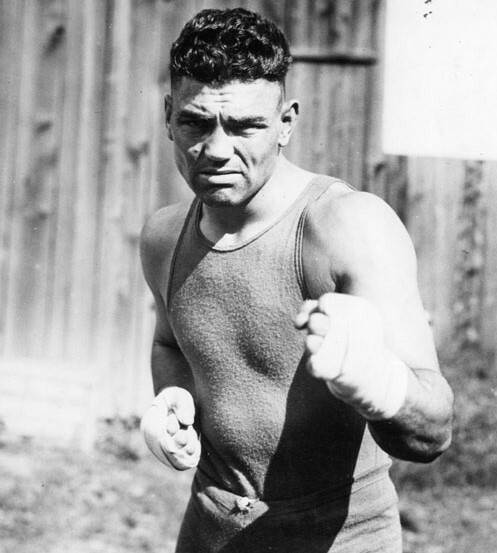 The following year Tunney dispatched Soldier Jones on the undercard of Dempsey vs Carpentier, boxing’s first million dollar gate. 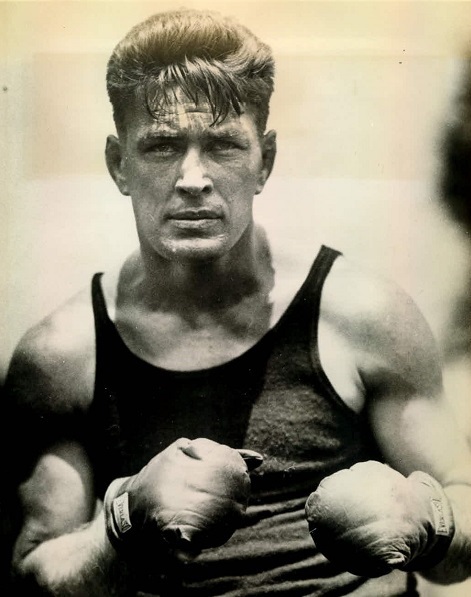 When asked about his plans afterward Tunney replied, “My plans are all Dempsey.” Between then and Tunney vs Dempsey I in 1926, the former stepped into the ring over 40 times, while the popular champion fought only twice, becoming more superstar than actual fighter. Tunney’s defeat of Dempsey was shocking, but shouldn’t have been. 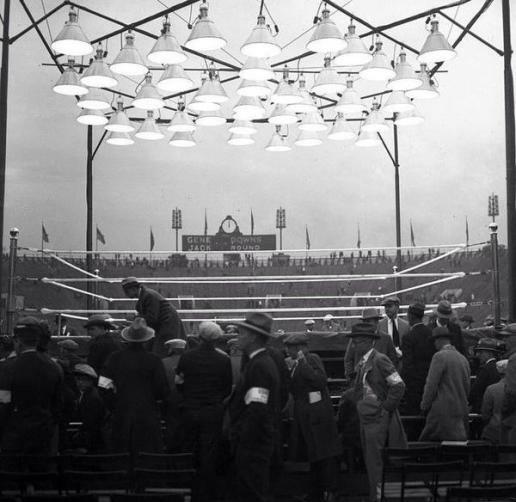 Fans gathering in Soldier’s Field prior to the bout. More than 100 000 attended. Tunney, a more solemn character, a Shakespeare-reading marine, was the one to bring down the snarling beast. He became so fixated on seizing Dempsey’s title that he shadowboxed while walking to and from his exercise on a Florida golf course while playing with Scottish pro Tommy Armour in 1925. The “big bookworm,” as Dempsey called him, knew his time would come. Throughout The Long Count Heimer mentions other feats of importance along with the day-to-day, week-to-week updates of negotiations and happenings between Tunney and Dempsey: Murderer’s Row; the trial and execution of Sacco and Vanzetti; the latest news from Broadway; the development of motion pictures with sound; the downward spiral of Charlie Chaplin’s marriage. 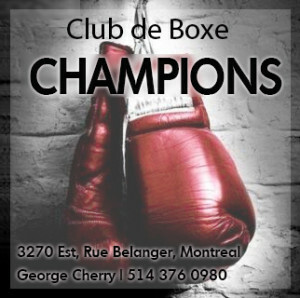 It all was consumed by and led to The Long Count fight, which was more than just a boxing match, but a genuine cultural event, one of the biggest bouts in the sport’s history in terms of money and anticipation. 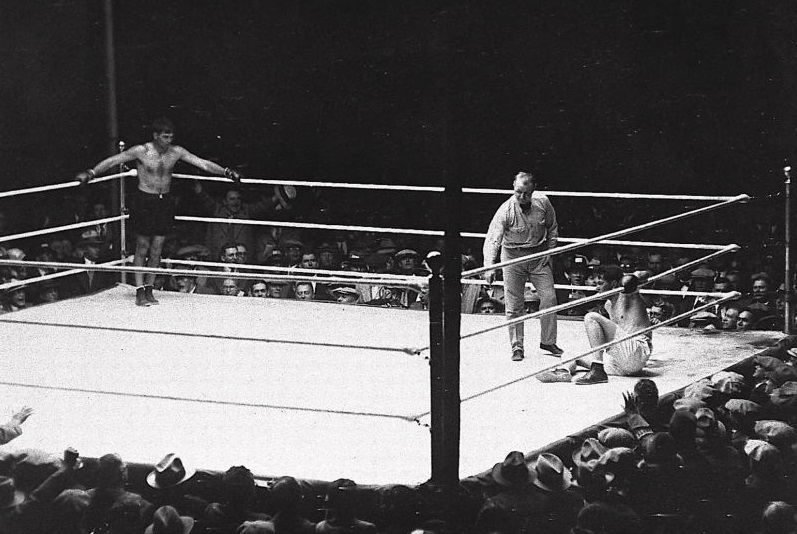 Between two fights involving Tunney and Dempsey there were 20 rounds and over 200,000 live spectators with gold-embossed tickets. 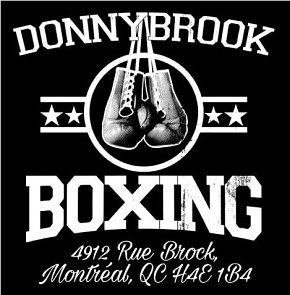 The boxers traded knockdowns, though only one mattered. 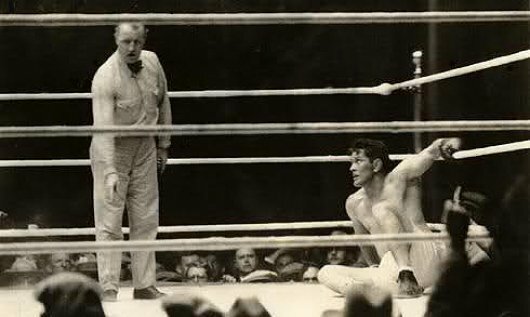 Indeed when Tunney backed into a left hook and clean-up combination that sent him down in round seven, the count administered by referee Dave Barry became the focus of all Tunney vs Dempsey lore. Dempsey finally where he’s supposed to be but it’s too late. With crowds gathered in New York streets, people riding cable cars with no destination and inmates at Sing Sing and New Jersey State Prison listening, Barry administered a delayed ten-count to Tunney when Dempsey stood over his prey and lingered in the wrong corner for too long. 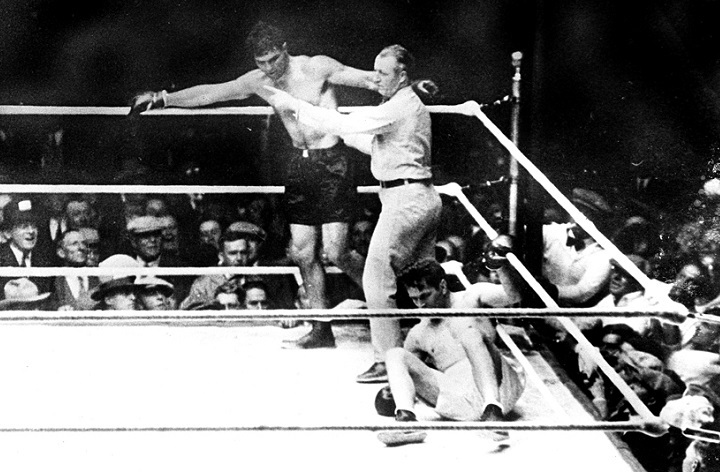 Tunney rose and weathered the onslaught, even dropping Dempsey in the following round with a right hand, but Barry’s quick count only served to amplify the complaints after “The Fighting Marine” won another decision. 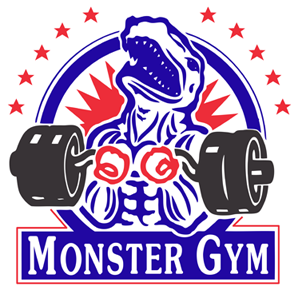 And with that, more whimper than bang, the reign and time of the great Jack Dempsey was brought to an end. Barry resumes the count as a clear-eyed Tunney prepares to rise. 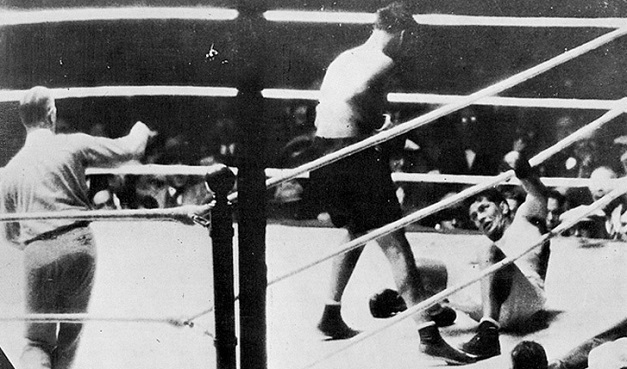 When complaints quickly came, it didn’t take long for Tunney’s representatives to bring up a pre-fight meeting with Illinois commissioner John Regiheimer attended by members of both fighters’ camps, where it was agreed upon that a fighter scoring a knockdown must immediately go to a neutral corner. Nat Fleischer, founder and editor of The Ring and Dempsey’s biographer, was among those who thought it “plausible” that Tunney could have risen even with a normal count. “The arguments were only beginning and they would stretch across the next forty years. But the long count was over,” Heimer wrote in 1969. What he might not have predicted is that the arguments would go on for another 40 years, the mythology still intact.